I’m a pretty big fan of granola. Are you? 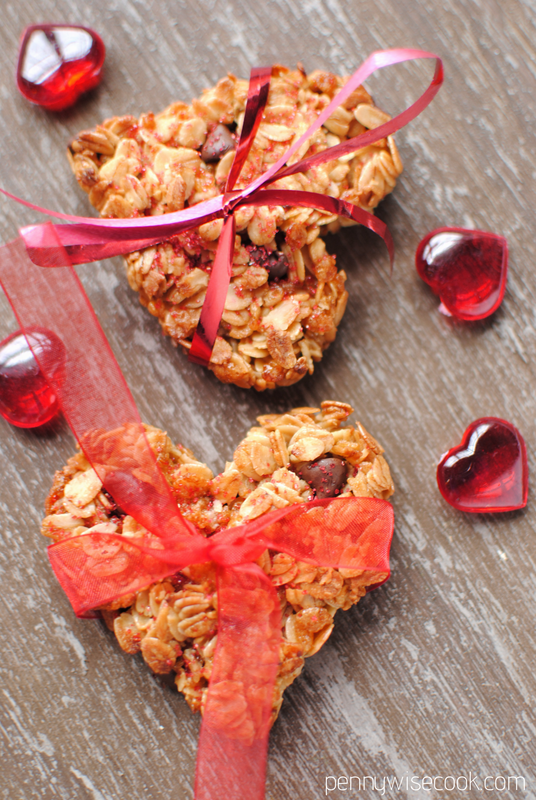 I bet you didn’t know that nothing says Happy Valentine’s Day more than granola. 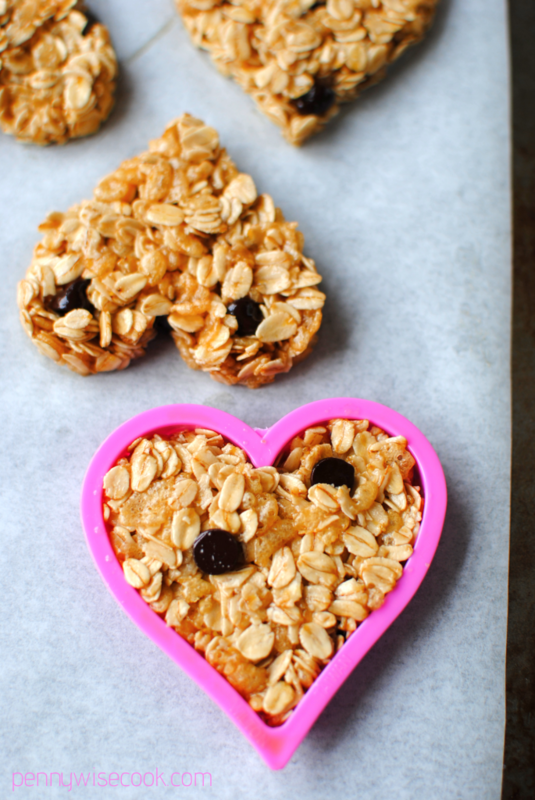 When you make these Valentine’s Day Granola Cookies, it’s like a big old gigantic bear hug of Valentine’s Day goodness. For one because you can make them into cute and adorable little hearts. 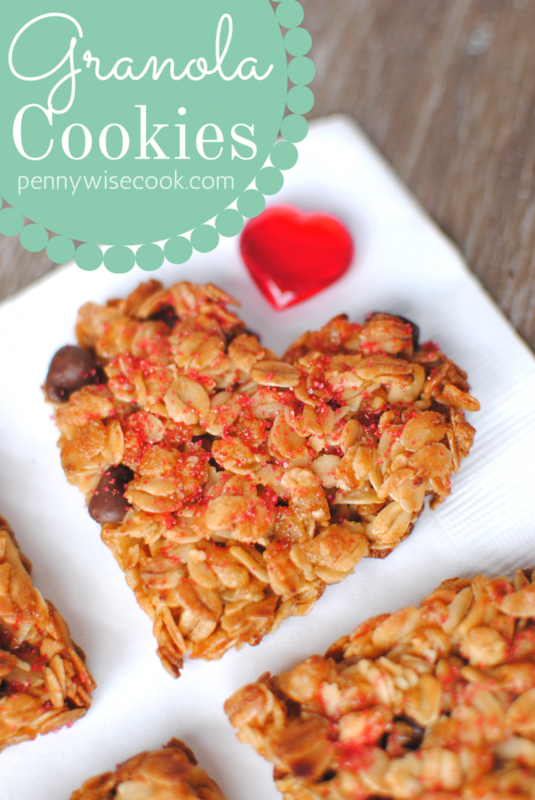 And for two because you’ll make them healthier for your favorite Valentine. 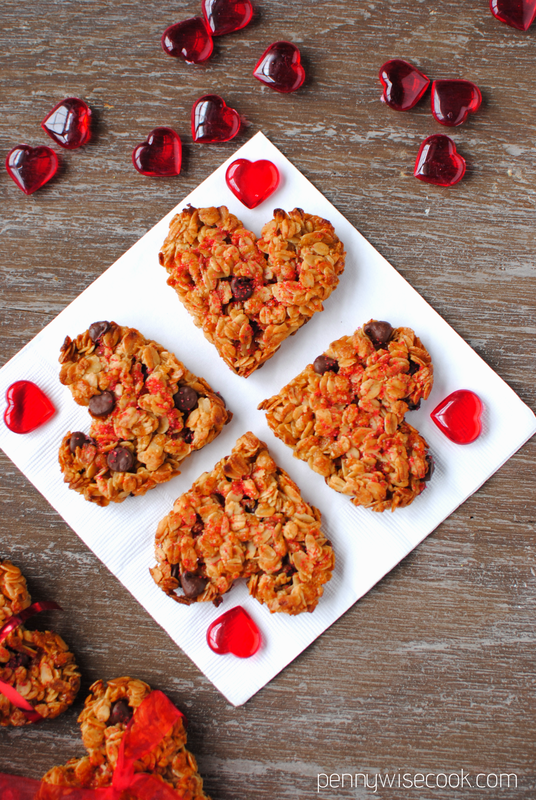 These tasty cookies are made using better for you ingredients, so you can feel good about making these for your Valentine. I recently read a research study that showed that corn oil is better at lowering cholesterol than extra virgin olive oil! You learn something new every day! 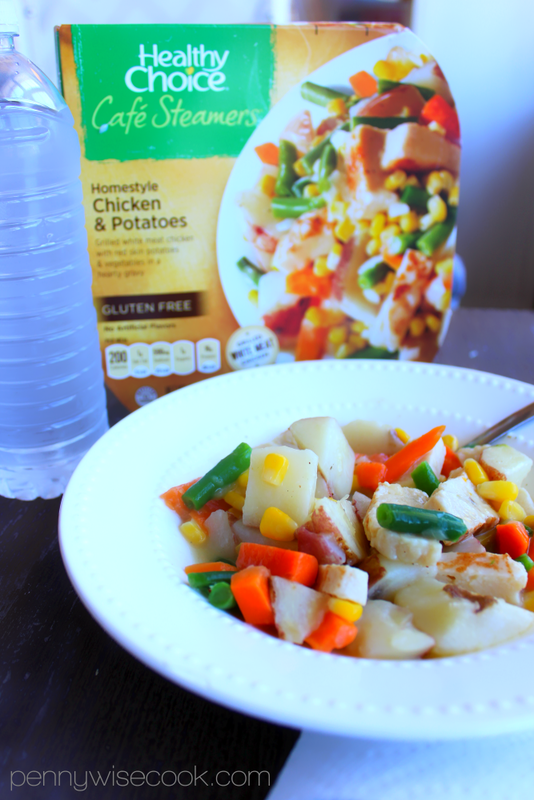 I like to use Mazola® Corn Oil because it has a neutral flavor and lets the other flavors in my cooking and baking stand out. 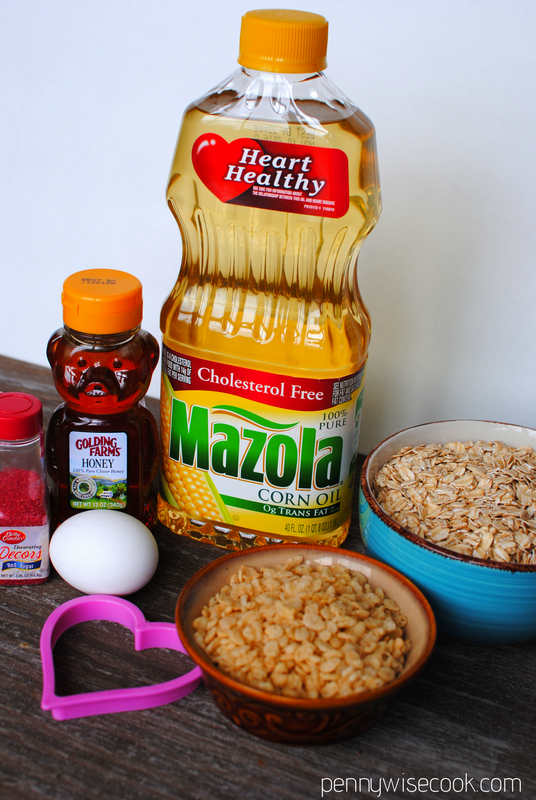 Mazola® Corn Oil made a great addition to the granola cookies that I made. I’ve also used to it to make breaded chicken and stir-fry. I have a special tip for you. Happy Valentine’s Day from me. I love you. Yes, I do! I can’t take all the credit for it. 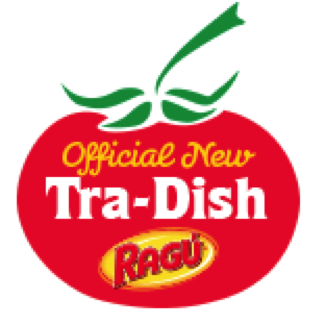 I saw this on Rachael Ray recently and thought it was genius so I had to share. 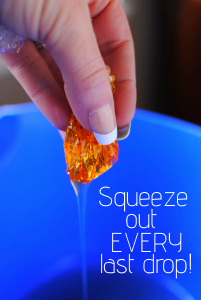 Snip off a small hole and squeeze out every last drop. 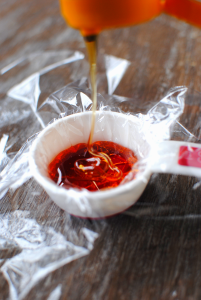 Throw away plastic wrap and have a CLEAN measuring cup with no honey lost in the process! The Mazola® Corn Oil does a great job holding all my wet ingredients together. The egg whites and honey kinda want to go off and do their own gloppy goo mess, but the oil man. It keeps the harmony. I will not lie to you, Valentine. 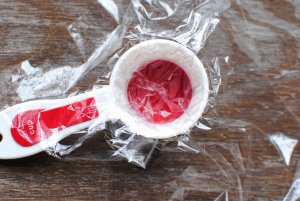 I did eat from this very spoon. Here is yet another genius idea. I KNOW! I really, really love you. Put a cookie cutter on parchment paper (that’s on a cookie sheet). Spray it with a taddy bit of cooking spray to keep from sticking. Then spoon in your granola and pat down. Remove your cookie cutter and you have your heart-shaped cookie. I was so happy with how they turned out. I was going for a cookie-like texture and not a granola bar and this was exactly what I got! I’ll be making these often. I love how versatile they are. You can add in raisins or nuts or whatever you’d like. I added a few chocolate chips to these and red sprinkles on top to be festive. You can certainly leave them out to keep them better for you. Check out more research facts about the benefits of Corn Oil and be sure to check out Mazola®, too! 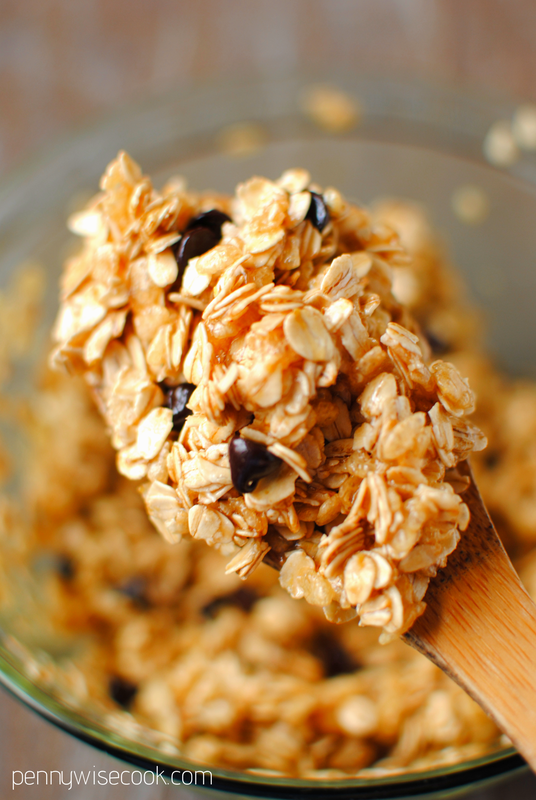 Skip the chocolate and try these better for you granola cookies instead! Mix together oats, cereal, and chocolate chips. Wisk together oil, honey, egg whites, and vanilla. 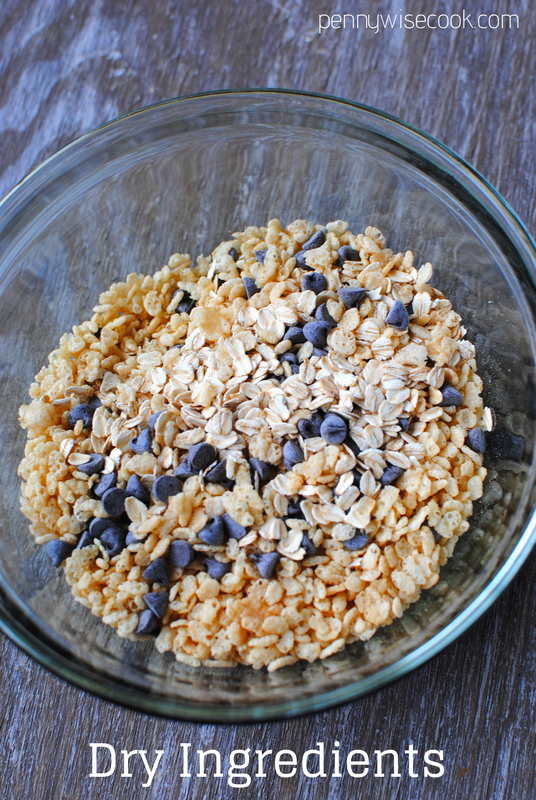 Place greased cookie cutter on parchment paper and scoop in granola. Flatten and remove. Repeat until all granola is used. Bake 15 minutes or until sides begin to brown. How do you like that reality? I don’t like it at all. Seems as though I find myself saying almost every single Sunday evening, that I don’t know where the weekend went. It’s gone in a vapor. Such is life I suppose. So why not make some brownies to make life more enjoyable? Warm, gooey, chocolatey brownies. Yes, I think that would make a great Sunday evening pick me up. 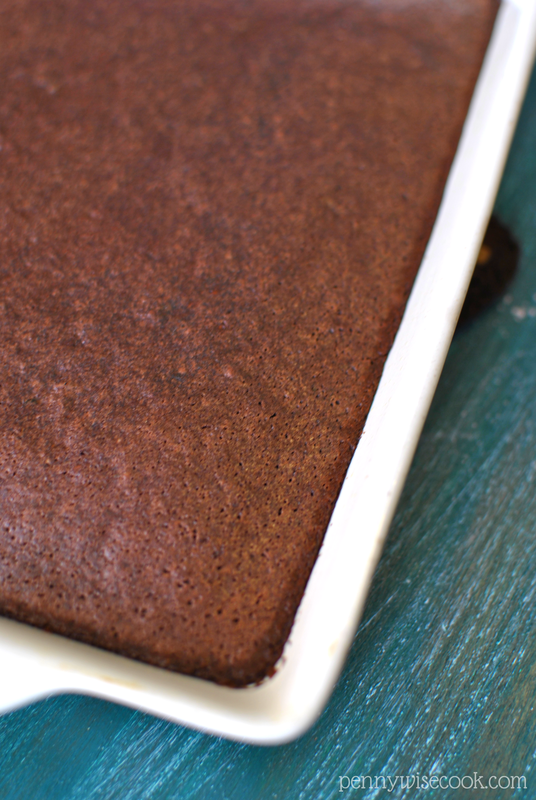 These brownies have a secret ingredient that I makes them healthy. Something that some like and some don’t. And believe me, if you’re the person that doesn’t like this ingredient, it won’t matter. 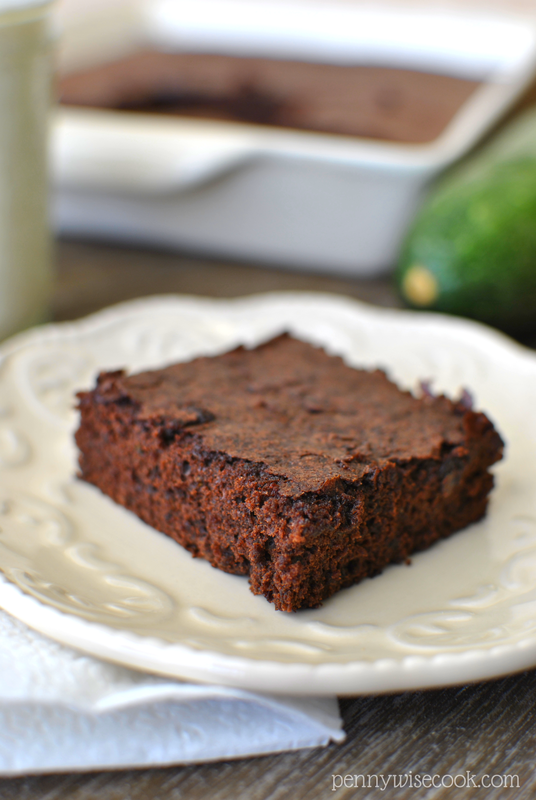 You see, these brownies are made with zucchini. Yep, that green, tender, cucumber look-alike stuff. You won’t be able to tell that it’s in them. 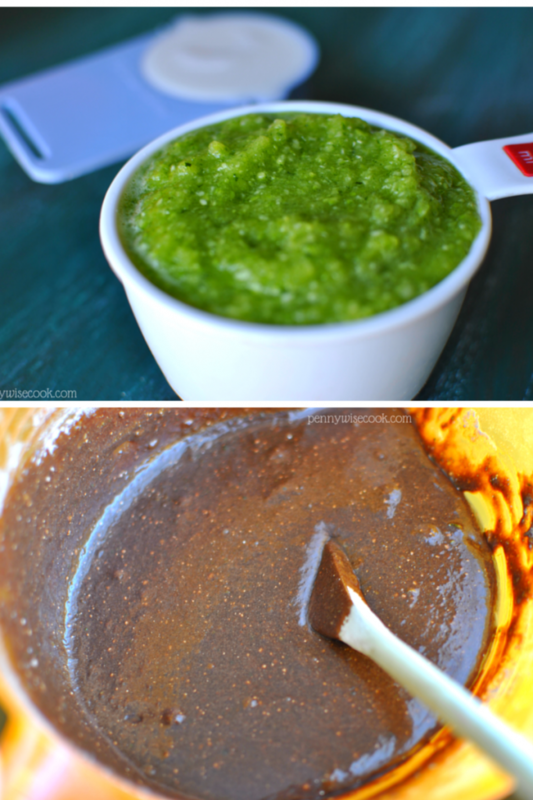 I’m not sure that anyone would ever request that big measuring cup of green goo to be placed into their brownies. If you don’t tell them, they won’t even know. I did just that. I made these for my family. They gobbled them up with their normal brownie enthusiasm. Then after they’ve had their fill, I break the news out on them like a spider monkey. So you see, you have just became a zucchini ninja. Turning dessert time in vegetable time. With the quickness. 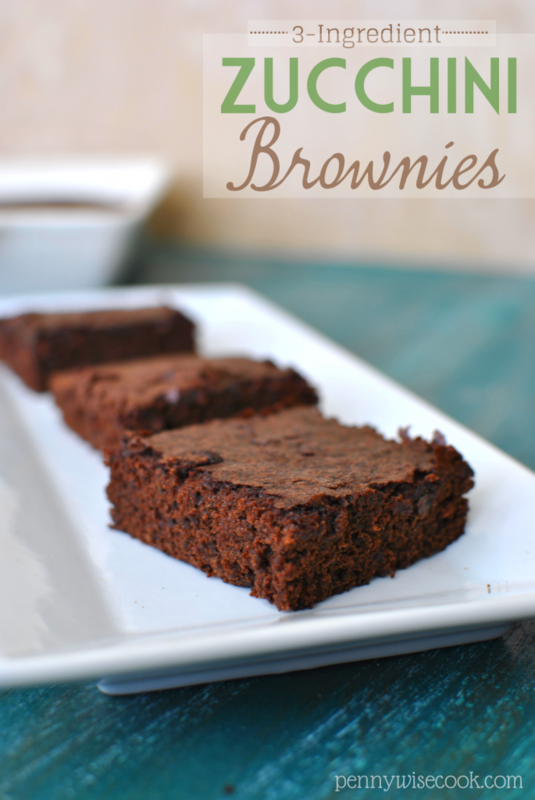 There are only 3 ingredients in the brownies which makes them extra easy and extra quick. A box of brownie mix. A cup of that green goo, which is just pureed zucchini. And a 3rd cup of milk (any kind you’d like). 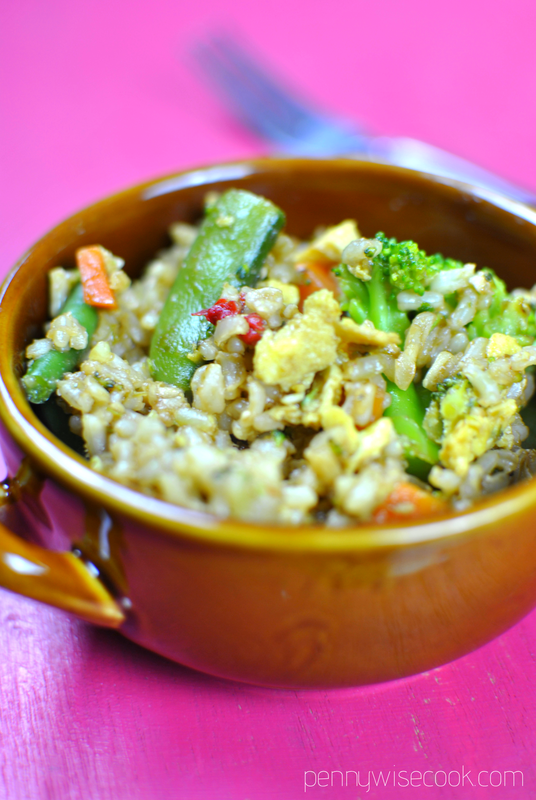 3 ingredients including a VEGGIE makes dessert time healthy and tasty! Preheat oven to degree listed on brownie mix. Mix together mix, puree, and milk. Bake according to directions on brownie mix. I used almond milk to cut calories in my brownies. Tasted great! To puree your zucchini, cut it into chunks and throw it into a blender, food processor, or magic bullet thingy. When I was young, our neighbor had an apple tree in their yard. I remember first finding out that the tree had apples on it. I ran over there and picked me one and took a big bite out of it. And then I realized…this was no regular apple tree. It was a tree of crab apples. Have you ever had a crab apple? They are not so good. Very sour, hard, and give you a sore tummy. Now regular apples, I love. I’m more of a green apple eater than red, but I’ll eat whatever I can get. 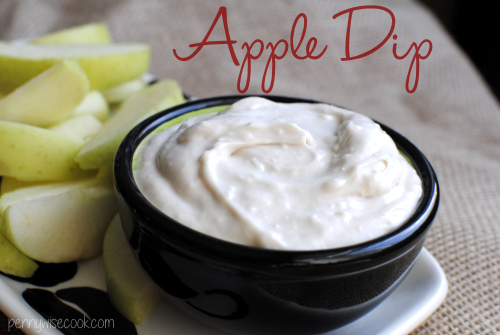 And I adore dips for my apples. Just a big dollop of peanut butter and a juicy slice of apple can make my day. Fall is the season when apples are ready for harvest. Though I find them just as juicy and fresh anytime of year at the grocery store. And they don’t seem to vary too much in price, which is nice. I’ve got a dip for you today that you’re going to love. After we ran out of apples, we used our fingers to scrape the rest of the dip off the bowl. It’s so good. This dip is very similar to 2-Ingredient Fruit Dip, but the ingredients are a little different. 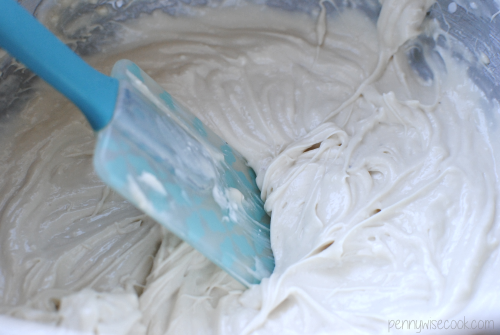 It’s a simple mixture of cream cheese (you know its going to be good), brown sugar, vanilla extract, and sour cream. Yeah, that sour cream gives it a creaminess. Love it. 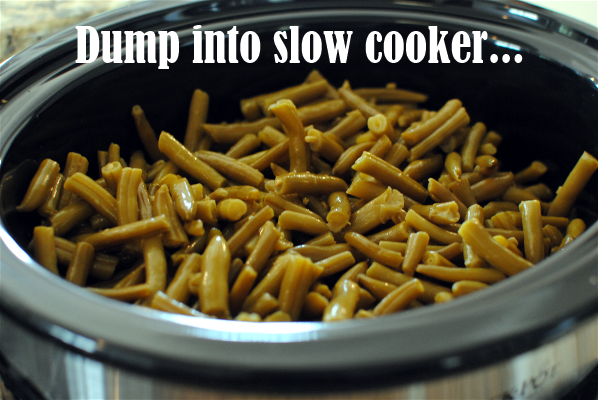 I love this dip for get togethers. 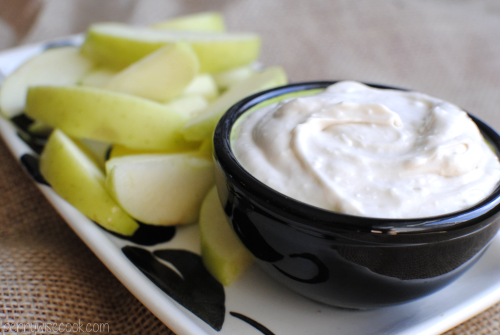 It would be really great to buy a bunch of different types of apples, slice them, and put them on a platter with this dip in the middle. You would have so many colors! Just make sure that you don’t get any crab apples. Oh yeah and, you don’t just have to eat this with apples. It’s amazing with any fruit! 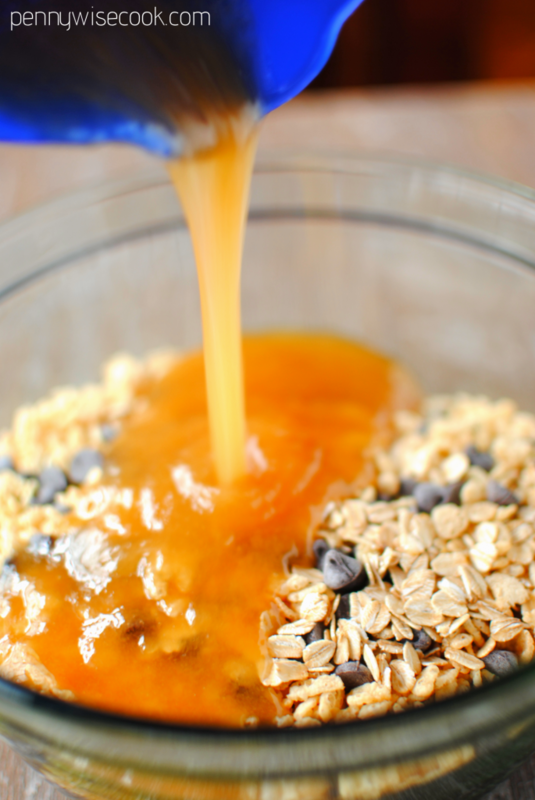 The recipe was originally called “Caramel Fruit Dip”, so I was going to pair it with apples thinking, you know, apples and caramel are wonderful together. After eating it, it does not have that caramel taste I was expecting. But it is still a wonderful partner for apples! Mix all ingredients together with mixer and chill. Serve! 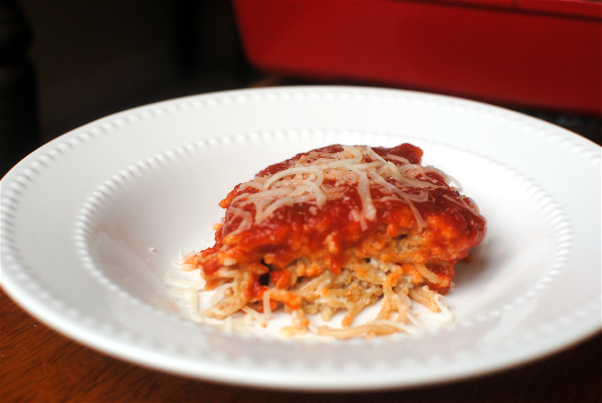 I used 1/3 less fat cream cheese and fat free sour cream and this still tasted wonderful! I’m not exactly sure what it is about peas that makes them seem so unappealing. Did you see what I did there? For most kids I think it may be because they are green. Both of my girls have a strong aversion to green food no matter what it is. So when my oldest came home from school one day and told me that she liked peas, you can just imagine my confusion. 1. She ate peas. Willingly. Without bribery or threatening. 2. She ate peas at school of all places. This is also the place that she discovered she likes green beans. (Which I promise are the only two green foods that she likes.) I mean. What are the schools doing to their green foods to make them so enticing? They have new standards for how healthy things have to be so I know it’s not that they are slathering it all in butter. 3. I gotta come close to making them at least half as good as the school. Woah. What is this world coming to with the statement that I just made? 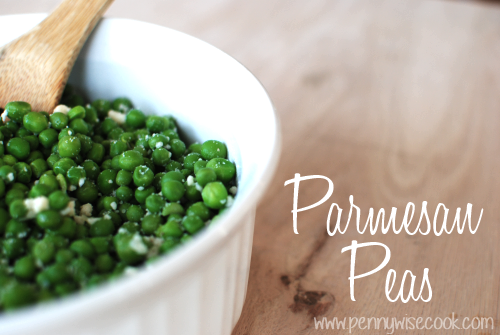 I came across this recipe for Parmesan Peas and I figured it was worth a shot. If it doesn’t work then I may need to call my daughter’s cafeteria. Again. What weird statements I’m making. I liked these peas, but I have a feeling that they weren’t as amazing as my daughter is used to. I will be tweaking these a little as I make them more. But for the most part, they are really tasty! The most important tip that I can give is to make sure that you serve them immediately after making. They do not taste the same after they get cold and sit there for a while. Just from my experience anyways. 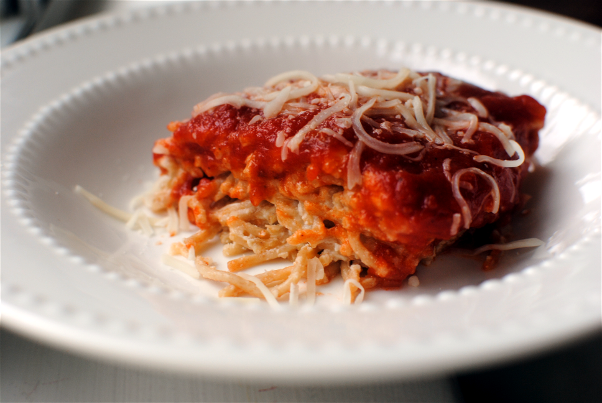 Also, be sure to use freshly grated parmesan and not the powered stuff. It works, but is not near as good. Fill a big saucepan 2/3 of the way full and bring to a boil. Add the peas and cook for 3 minutes if fresh and 1 minute if frozen. This will be your call as to if you think they are ready enough. I like mine to be really tender. 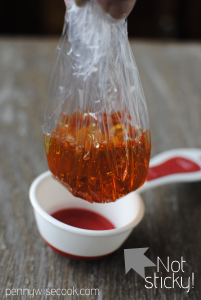 Remove from heat and save a little amount of the cooking water. Drain. Put them back in the saucepan and add a little of the reserved water. Add the butter. Stir until melted. 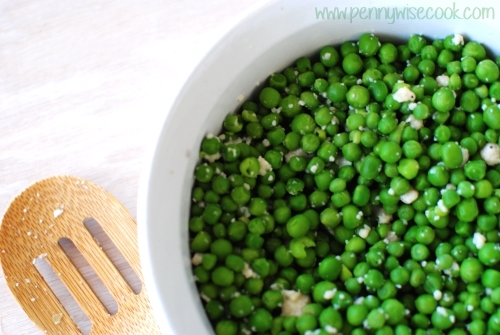 Stir in the parmesan cheese and make sure that all the peas get coated. Squeeze a tad of lemon juice and add a dash of pepper. 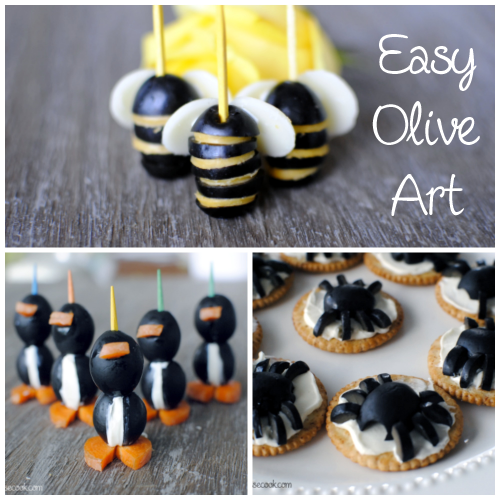 Fun and Easy Crafts With Olives! My oldest has only recently figured out that she likes black olives. It was by mistake that she realized that she did, but I’ll take what I can get. She grabbed a big handful of “grapes” only to come tell me “momma, those aren’t grapes”. Thanks honey for letting me know. I fully expected her to leave them on my plate while saying the everso common “I don’t liiiiiiiike it”. To my surprise, she ate every one of them. Small victories people. Small victories. I haven’t done just a lot to foster her new relationship with black olives, but somehow it’s blossomed. She now gets them on her sub sandwiches and even requires them on her pizza. I just grin ear to ear when I hear her telling anyone about her love for olives. My husband can hardly believe it. I got to pick up some California Ripe Olives in order to create to super duper cute little characters. I was just thrilled at how easy and adorbs they turned out. But I honestly think that the very best part was eating the creations. There is just something about cheese and olives man. A match made in hors d’oeuvres heaven. The versatile California Ripe Olive is the ideal ingredient for home chefs and food artists. 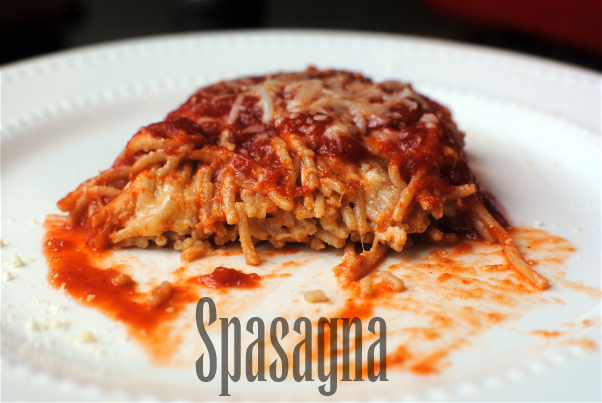 Not that I consider myself a chef or a food artist even, but they are pretty versatile and are something easy I can add to most meals. California Ripe Olives are kid-friendly and the perfect option for creating tasty and creative food art for the back to school season. Think about lunch boxes and after school snacks. 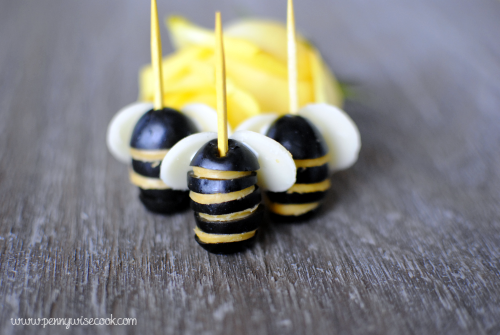 How cute would it be to put one of these little bumble bees in your kiddos lunch box? Sweet surprise at the lunch table. These may have been my favorite olive creatures. California Ripe Olives provide a pop of color, texture, and flavor to a variety of dishes—including fun and delicious food art. Like these penguins for instance. Kids won’t even realize that they are eating healthy! These little guys were so easy to make and even tastier to eat! California Ripe Olives are the perfect pantry staple. They are good right out of the can, but mixing it up with little guys like this makes them even more fun. California Ripe Olives are grown on over 1,000 multigenerational family farms that crisscross the warm inland valleys of California and processed by two family-owned canneries. I love knowing that what I’m feeding my family came from just another family. There’s just some kinda comfort that I get from family-owned companies. Aren’t these little spiders so cute? Perfect for Halloween since it’s just right around the corner! 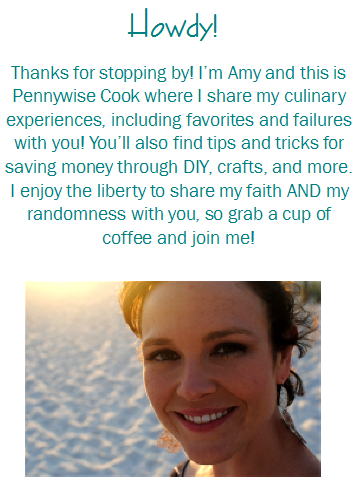 There is a nifty sweepstakes happening and you’ll want to enter before it’s too late! The California Ripe Olives Back-To-School Sweepstakes runs August 18- September 12th. Follow California Ripe Olives on Facebook, visit the custom tab, and enter once per day for the chance to win an Amazon Kindle Fire HDX! 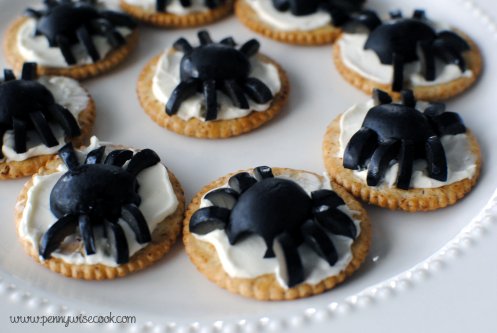 Spread a little cream cheese (or dip of your choice) onto a cracker. Cut an olive in half and place one half on the cream cheese. Using a knife, cut the other half into 8 small thin pieces. Place the small pieces around the "body" olive on the cracker. 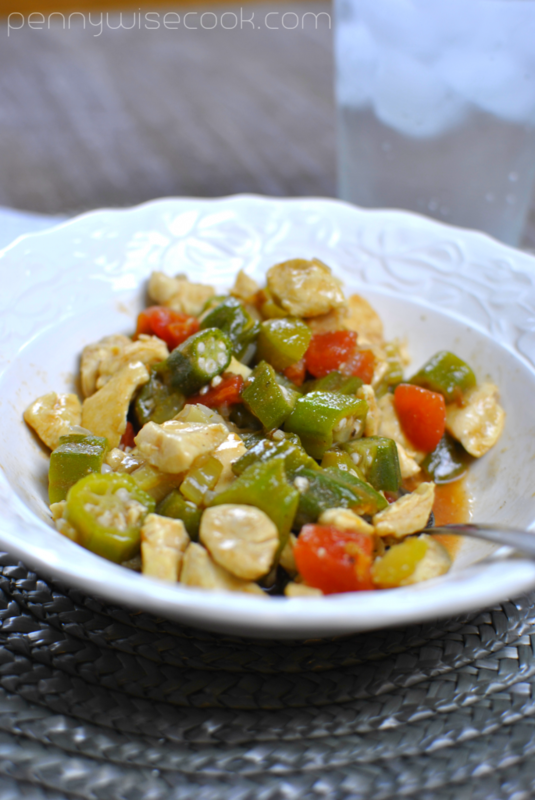 This one is super easy and they taste amazing! Perfect for Halloween! Cut a small wedge out of the carrot and set aside. Cut an olive just to the middle creating a small gap. Fill with cream cheese. Take your small carrot wedge and poke it into a new olive. 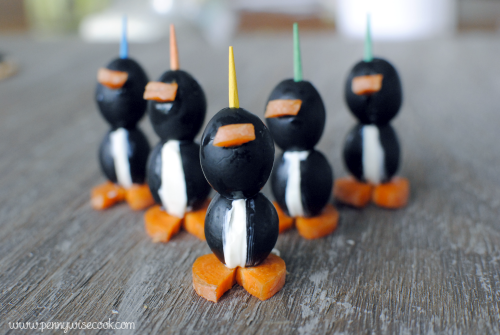 Assemble your penguin but sticking a toothpick first down the olive with the beak (carrot wedge), then through the cream cheese filled olive, and then into the leftover carrot slice. This one can get kinda messy with the cream cheese involved, but after assembling you can use a paper towel to wipe off the excess cream cheese. Slice your olives into 4-5 sections. Using a small circular object, cut out circles to place between the olive slices. Place your cheese circles between the olive slices and then stick a toothpick down the middle to keep it all together. Using the same circular object, cut out circles from the provolone cheese. Place a small dab of cream cheese on the back of the top slice. Stick the provolone circles to the back like wings. I just used things that I had on-hand to cut out the circles. I believe I used the bottom of a piping tip and it was just the right size. It doesn't have to be perfect! This is your creation to look however you'd like! 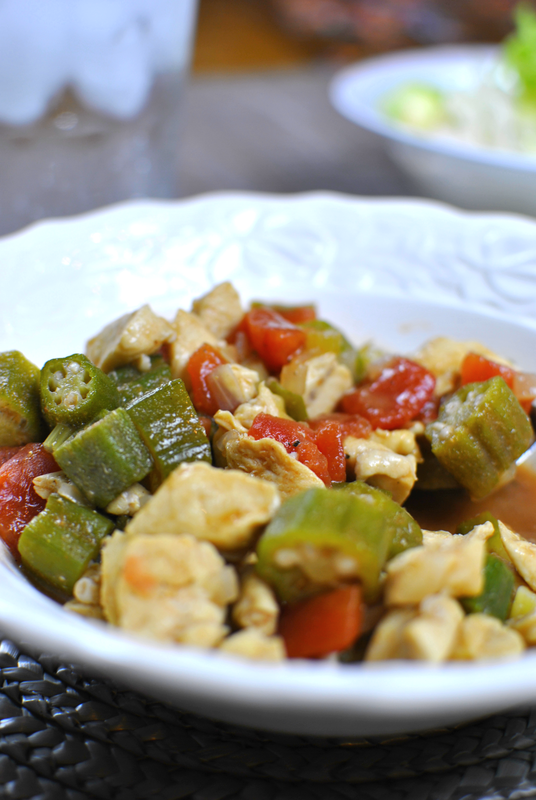 Today’s recipe is one that came from my grandmother! 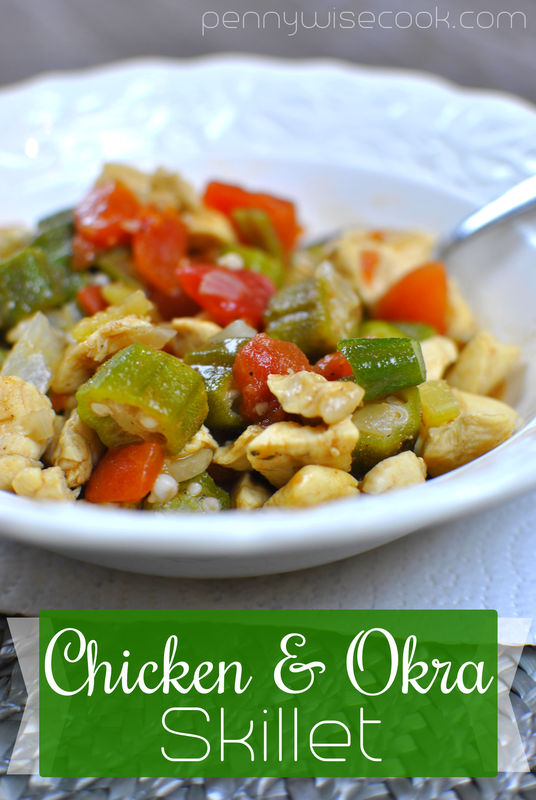 She has always been innovative when it comes to cooking and making things easier and tastier. This one is one that she came up with when having to feed a crowd. Seems like she is always having a get together with family and friends. It doesn’t matter what time of day it is when I stop by to see her, she will offer me FOOD! That’s what grandmothers are for, right? So this recipe. 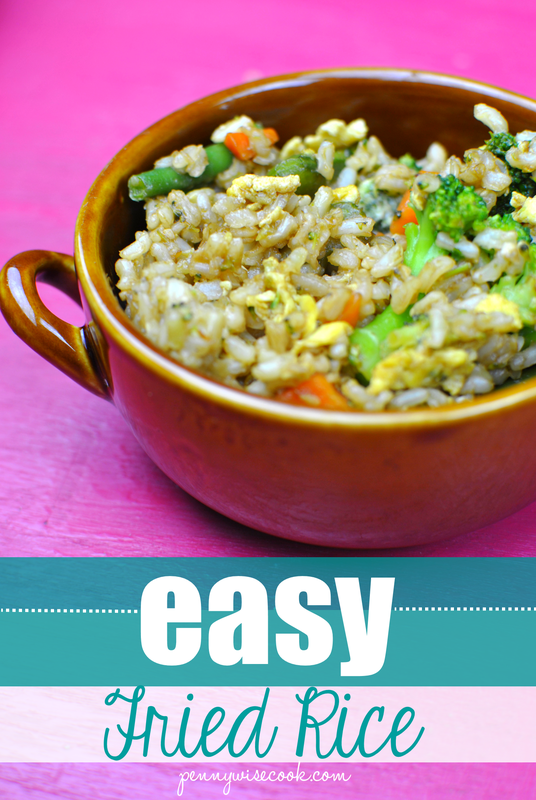 It’s SO easy and will feed a crowd. It’s easy on the wallet as well. 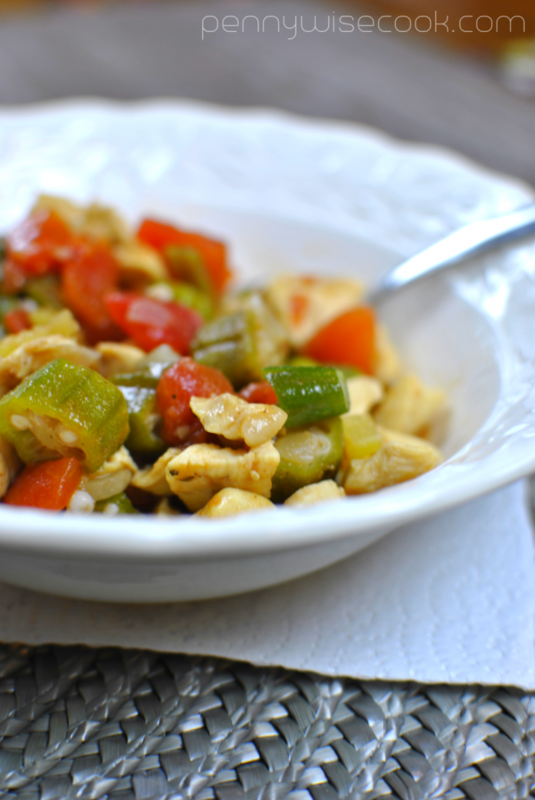 You can make this to take to an event or serve right out of the slow cooker when you have folks over. 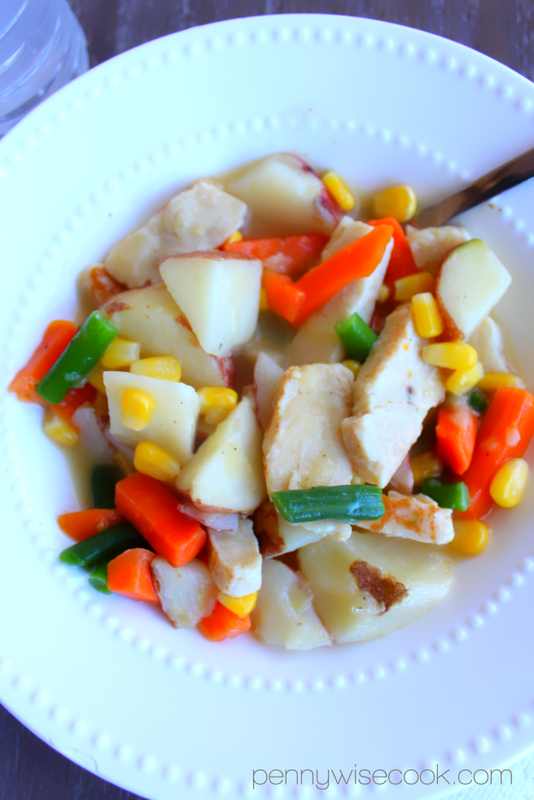 It’s a fix it and forget it kinda side dish that honestly, I could eat as a meal. My Addie doesn’t think fond of my veggies, but this is her absolute favorite. It’s almost bribe-worthy. Almost, I mean come on, they are green beans. It starts with everything above. 1 LARGE can of green beans. It’s a 101 oz or 6 lbs, 5 oz can that you can get at Walmart, Kroger, or most grocery stores. Sam’s Club usually has the best price on these around $3.68 (ish). You will also need a 12 oz package of country ham seasoning pieces. This is fairly inexpensive too. I got this package for just $1.88. That makes this entire side dish around $6 bucks total. Not bad! 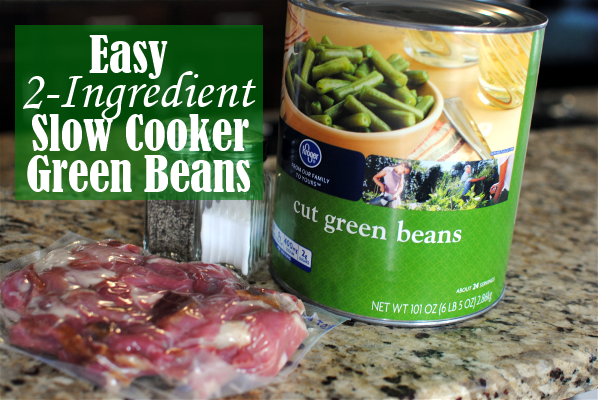 Ok, so start by opening up your can of green beans and draining out EVERY LAST DROP OF WATER. This is essential. 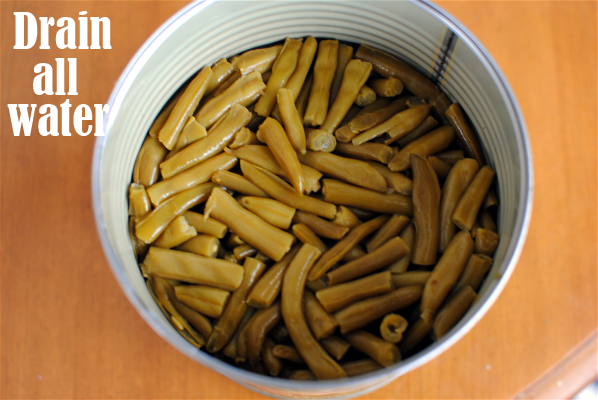 The green beans will create their own water while cooking and if they have too much moisture, they will become mushy. Draining them gives just the right amount of juice. This is so hard so far, right? Refrain from complaining too much. The country ham is already in pieces, but I usually cut it into smaller pieces. I also DO NOT remove the fat from the pieces. You could, if you were really serious about fat, but honestly it gives it even tastier flavor. We had these last night and Addie was so excited to be getting her favorite beans. I’m pretty sure that I had 3 helpings and many bites of them while putting the leftovers away. Do you do that? 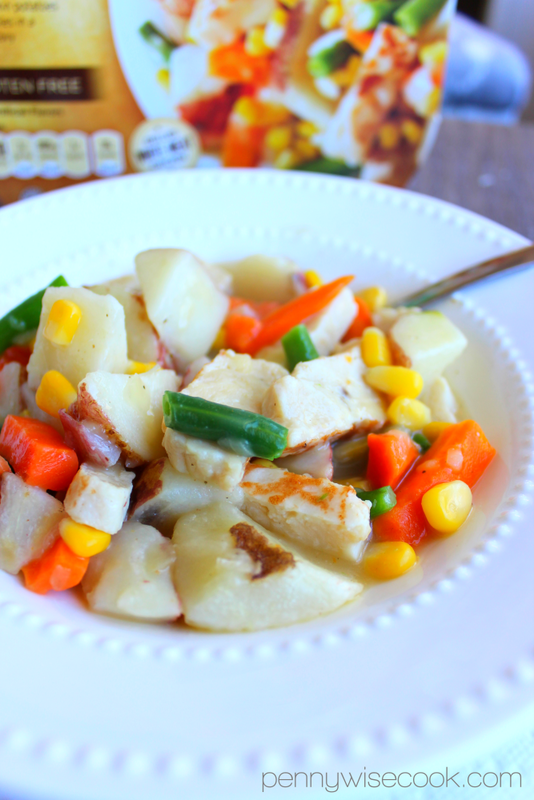 It’s hard not to steal a few tastes while getting it all prepared for the refrigerator. Even though I was stuffed to the gills! 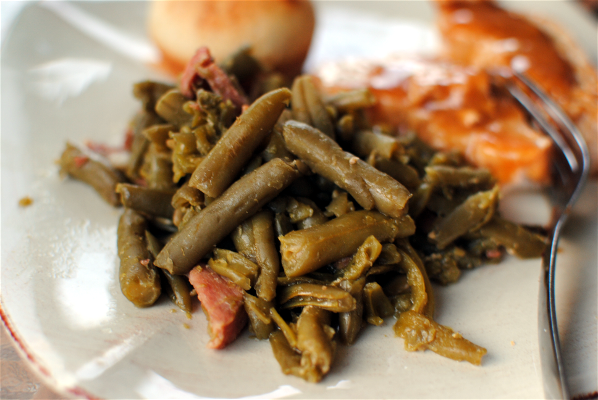 A simple 2-ingredient slow cooker recipe for making A LOT of tasty green beans. 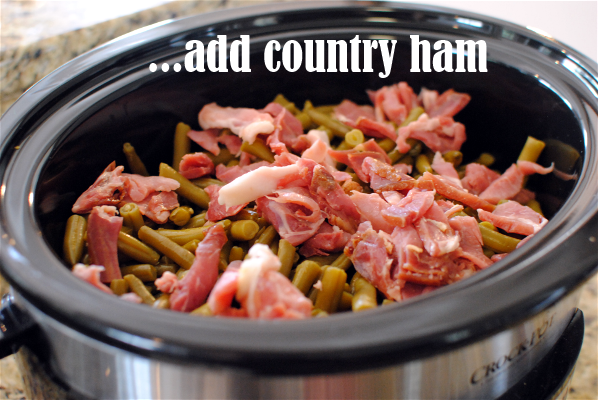 Place drained green beans and chopped country ham pieces into slow cooker. Set to low and cook 8 hours. After a few hours, add pepper to taste. I usually add a little garlic powder to mine. I just eye ball it. You can also cook these on high for 4-5 hours in a pinch. 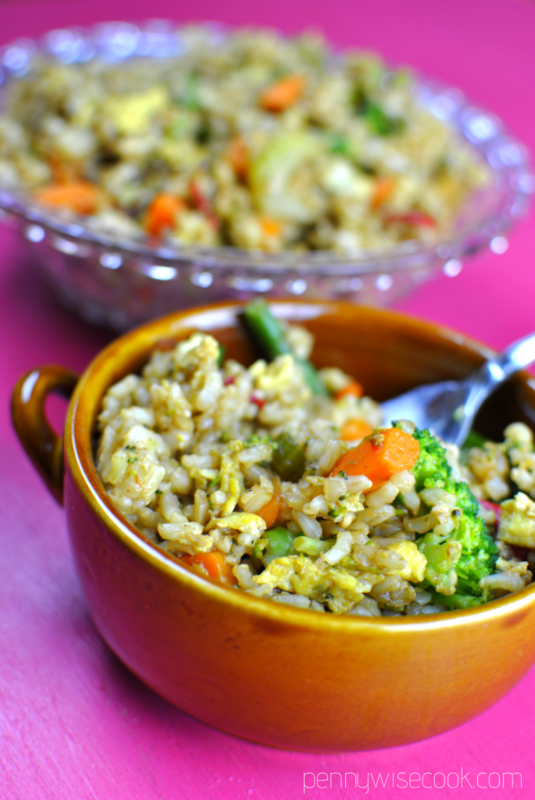 You could also make these overnight for a gathering the next day if you wanted to. No one would ever know they cooked while you slept!